Zephyr applications use the olimex_stm32_h407 board configuration to run on the OLIMEX-STM32-H407 open source hardware. 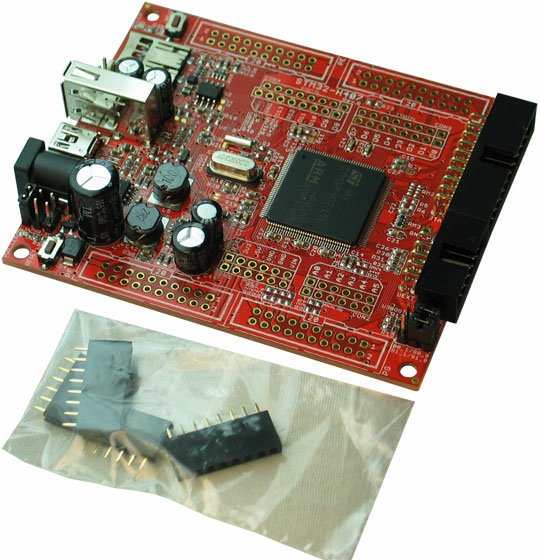 It is based on the STMicroelectronics STM32F407ZG ARM Cortex-M4 CPU. 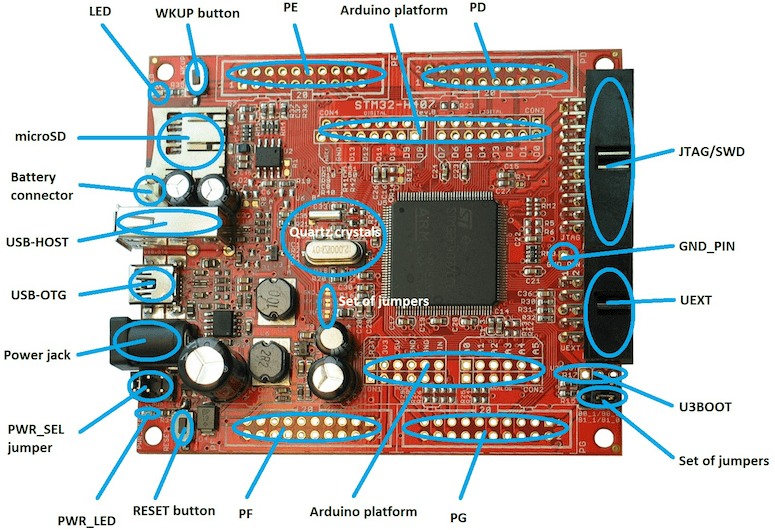 Information about the board can be found at the OLIMEX-STM32-H407 website and OLIMEX-STM32-H407 user manual. The ST STM32F407ZG Datasheet contains the processor’s information and the datasheet. OLIMEX-STM32-H407 has two external oscillators. The frequency of the slow clock is 32.768 kHz. The frequency of the main clock is 12 MHz. The processor can setup HSE to drive the master clock, which can be set as high as 168 MHz. The OLIMEX-STM32-H407 board does not include an embedded debug tool interface. You will need to use ST tools or an external JTAG probe. In the following examples the Olimex ARM-USB-OCD-H is used. If you have an external JTAG probe compliant with the default Zephyr OpenOCD configuration, however, then applications for the olimex_stm32_h407 board configuration can be built and flashed in the usual way (see Build an Application and Run an Application for more details). Connect the ARM-USB-OCD-H debugger to your host computer and to the JTAG port of the OLIMEX-STM32-H407 board. Then build and flash an application. Provided that you have a JTAG probe, you can debug an application in the usual way. Here is an example for the Hello World application.